The American Meteorological Society promotes the development and dissemination of information and education on the atmospheric and related oceanic and hydrologic sciences and the advancement of their professional applications. Founded in 1919, AMS has a membership of more than 11,000 professionals, professors, students, and weather enthusiasts. AMS publishes nine atmospheric and related oceanic and hydrologic journals — in print and online — sponsors more than 12 conferences annually, and offers numerous programs and services. The Carbon Dioxide Information Analysis Center responds to data and information requests from users from all over the world who are concerned with the greenhouse effect and global climate change. The Center for Science and Public Policy relies on scientific experts in many nations and the vast body of peer-reviewed literature to help lawmakers, policy makers, and the media distinguish between scientific findings that are agenda-driven and those that are based on accepted scientific methods and practices. Center for Study of Carbon Dioxide and Global Change disseminates factual reports and sound commentary on new developments in the world-wide scientific quest to determine the climatic and biological consequences of the ongoing rise in the air’s CO2 content. The Center for the Study of Carbon Dioxide and Global Change was created to disseminate factual reports and sound commentary on new developments in the world-wide scientific quest to determine the climatic and biological consequences of the ongoing rise in the air’s CO2 content. It meets this objective through weekly online publication of its CO2 Science magazine, which contains editorials on topics of current concern and mini-reviews of recently published peer-reviewed scientific journal articles, books, and other educational materials. In this endeavor, the Center attempts to separate reality from rhetoric in the emotionally-charged debate that swirls around the subject of carbon dioxide and global change. In addition, to help students and teachers gain greater insight into the biological aspects of this phenomenon, the Center maintains on-line instructions on how to conduct CO2 enrichment and depletion experiments in its Global Change Laboratory (located in its Education Center section), which allow interested parties to conduct similar studies in their own homes and classrooms. Called “the best environmental think tank in the country” by The Wall Street Journal, the Competitive Enterprise Institute focuses on the development and promotion of free market approaches to environmental policy. As a leading proponent of free market environmentalism, CEI’s program includes both an overall effort to reframe the environmental debate and a series of targeted projects to reform specific policies, ranging from risk regulation to global warming. The political activists who champion extreme measures to “combat” supposed human-caused global warming are not dissuaded by the reality that their suppositions remain highly questionahle on scientific grounds. Instead, they hammer the same talking point again and again—“the debate is over”—they claim. There is no longer any serious debate over the basic points that make up the consensus on global warming. That’s what Al Gore said when he testified before Congress on March 21, 2007. Similar statements have been made by numerous global warming alarmists wishing to shut-down debate. While such statements are not literally true, they have become practically true as many schools are choosing to present only the alarmist side of the debate. Schools and school systems across the nation, for example, have shown students Al Gore’s “An Inconvenient Truth” without presenting other views on the topic. Not only are students being presented with only one side of that story, that one side may be psychologically damaging to children. DemandDebate educates and empowers parents and students about bias in environmental education. DemandDebate is supported by individuals and organizations. Friends of Science offers a critical mass of current science on global climate and climate change to policy makers, and any interested parties. The Heartland Institute is a national nonprofit research and education organization, tax exempt under Section 501(c)3 of the Internal Revenue Code, and founded in Chicago in 1984. It is not affiliated with any political party, business, or foundation. Heartland’s mission is to discover, develop, and promote free-market solutions to social and economic problems. Such solutions include parental choice in education, choice and personal responsibility in health care, market-based approaches to environmental protection, privatization of public services, and deregulation in areas where property rights and markets do a better job than government bureaucracies. The Heartland Institute produces five monthly publications on budget and tax issues, environment and climate, health care reform, information technology and telecommunications, and school reform. It also publishes policy studies and books, hosts conferences and other events, supports 12 senior fellows, and maintains two web sites. The Intergovernmental Panel on Climate Change (IPCC) has been established by WMO and UNEP to assess scientific, technical and socio- economic information relevant for the understanding of climate change, its potential impacts and options for adaptation and mitigation. It is currently finalizing its Fourth Assessment Report “Climate Change 2007”, also referred to as AR4. ICSC is an international association of scientists, economists and energy and policy experts working to promote better public understanding of climate change science and policy worldwide. ICSC is committed to providing a highly credible alternative to the UN’s Intergovernmental Panel on Climate Change (IPCC) thereby fostering a more rational, open discussion about climate issues. Begun in 1989, the Institute’s program involves a critical examination of the scientific basis for global climate change policy. The intent is to promote a clear understanding of the state of climate science and assess the implications for public policy. A major component of this effort is communicating the findings to policy makers, the media and the public policy community. NASA - Global Change Directory’s mission is to enable the scientific community to discover and access Earth science data and services through distributed, integrated information technology systems. National Climactic Data Center’s mission is to describe the climate of the United States and NCDC acts as the Nation’s Scorekeeper regarding the trends and anomalies of weather and climate. National Hurricane Center is the most comprehensive resource for hurricanes with the most up to date information on the latest forming hurricanes, analysis and forecasting of the current and past hurricane seasons, a complete history of hurricanes, and a section on hurricane awareness. Supporting and Promoting Excellence in Operational Meteorology and Related Activities since 1975. Special subjest areas include: Aviation, Education, Remote Sensing, Specialized Meteorological Operational Services, Strategic Planning, Training, and Weather Analysis and Forecasting. 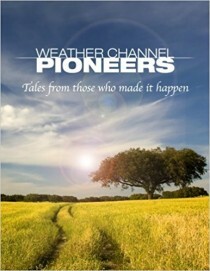 They produce a newsletter and The National Weather Digest as an official publication of the NWA. It is devoted to peer-reviewed articles, technical notes, correspondence, and official news of the Association. They maintain a Seal program for Broadcasters. The Pielke research group focuses on land-atmosphere interactions on the local, mesoscale, regional, and global scales. These interactions include biophysical, biogeochemical, and biogeographic effects. The RAMS model is a major tool used in this research. RAMS has been coupled to two different ecosystem-dynamics models (CENTURY and GEMTM) as part of these studies. Also applied is the CCM3 atmospheric global model from the National Center for Atmospheric Research (NCAR) in Boulder, Colorado. Our studies range from the tropics into the high Arctic regions. Our group has also applied RAMS to atmospheric-ocean interactions, including Arctic sea-ice feedbacks. We have investigated these nonlinear interactions within the Earth’s climate system using the coupled RAMS model, as well as simplified nonlinear mathematical models. See Climate Science website here. The Science & Environmental Policy Project was founded in 1990 by atmospheric physicist S. Fred Singer on the premise that sound, credible science must form the basis for health and environmental decisions that affect millions of people and cost tens of billions of dollars every year. A non-profit, 501(c)3 educational group, its mission was to clarify the diverse problems facing the planet and, where necessary, arrive at effective, cost-conscious solutions. Publishes a regular Newsletter, TWTW. The Science and Public Policy Institute (SPPI) is a nonprofit institute of research and education dedicated to sound public policy based on sound science. Free from affiliation to any corporation or political party, we support the advancement of sensible public policies for energy and the environment rooted in rational science and economics. Only through science and factual information, separating reality from rhetoric, can legislators develop beneficial policies without unintended consequences that might threaten the life, liberty, and prosperity of the citizenry. The Center for Ocean-Atmospheric Prediction Studies (COAPS) performs research in air-sea interaction, ocean and coupled air-sea modeling, climate prediction, statistical studies, and predictions of social/economic consequences due to ocean-atmospheric variations. A wonderful resource that the center maintains is a map of the temperature variability across the United States, which can be found here. The primary objective of the Distributed Information Services for Climate and Ocean Products and Visualizations for Earth Research (DISCOVER) Project is to provide highly accurate, long-term ocean and climate products suitable for the most demanding Earth research applications via easy-to-use display and data access tools. These products are derived from a large network of satellite microwave sensors going back to 1979. Most of the products are produced in near real-time (3-12 hours) on a 24x7 basis and hence are also suitable for some weather applications. The products include sea-surface temperature and wind, air temperature, atmospheric water vapor, cloud water, and rain rate. A key element of DISCOVER is the merging of multiple sensors from multiple platforms into geophysical data sets consistent in both space and time. The purpose of the Petition Project is to demonstrate that the claim of “settled science” and an overwhelming “consensus” in favor of the hypothesis of human-caused global warming and consequent climatological damage is wrong. No such consensus or settled science exists. As indicated by the petition text and signatory list, a very large number of American scientists reject this hypothesis. Publicists at the United Nations, Mr. Al Gore, and their supporters frequently claim that only a few “skeptics” remain - skeptics who are still unconvinced about the existence of a catastrophic human-caused global warming emergency. It is evident that 31,072 Americans with university degrees in science - including 9,021 PhDs, are not “a few.” Moreover, from the clear and strong petition statement that they have signed, it is evident that these 31,072 American scientists are not “skeptics.” These scientists are instead convinced that the human-caused global warming hypothesis is without scientific validity and that government action on the basis of this hypothesis would unnecessarily and counterproductively damage both human prosperity and the natural environment of the Earth. The New Zealand Climate Science Coalition’s mission is to represent accurately, and without prejudice, facts regarding climate change; to provide considered opinion on matters related to both natural and human-caused climate effects; and to comment on the economic and socio-political consequences of climate change. Formed in 2001, the Scientific Alliance is a non-profit membership-based organisation, now based in Cambridge. The Alliance brings together both scientists and non-scientists committed to rational discussion and debate on the challenges facing the environment today. Members of the Scientific Alliance are concerned about the many ways in which science is often misinterpreted, and at times misrepresented, within both policy circles and in the media. The Alliance thus works to overcome this misunderstanding by aiming to: Promote sound science in the environmental debate; Ensure that scientific arguments remain prominent throughout the policy making process; Facilitate an informed dialogue between all stakeholders involved in the environmental debate through events and publications. The Scientific Alliance is led by a Scientific Advisory Forum comprised of respected scientists and experts from many different fields. They set the Scientific Alliance’s general policies and together with other members of the Scientific Alliance, act as spokespeople for the organisation. The Alliance’s director is Martin Livermore. As a membership-based campaign organisation, the Alliance welcomes donations from individuals, scientific and academic institutions, societies, trusts, companies, trade associations and other organisations. Donations and support are crucial to enable the Alliance to carry out its work, but they are only accepted if made without conditions and afford no influence on the policies of the Scientific Alliance. The Tropical Meteorology Project is a project of Dr. William Gray, the foremost expert on hurricane forecasting. His website houses his latest predictions for the upcoming hurricane season in the Atlantic Basin, which he has been doing since 1984. United States Geological Survey (USGS) provides reliable scientific information to describe and understand the Earth; minimize loss of life and property from natural disasters; manage water, biological, energy, and mineral resources; and enhance and protect our quality of life. Jaworowksi, Z., Segalstad, T.V. and Hisdal, V.